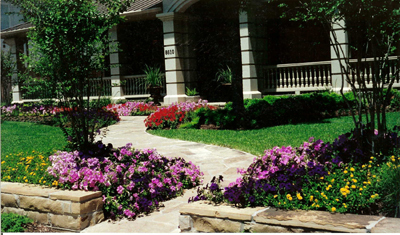 We at Bright Landscape Designs appreciate your interest and would love to help with all your landscape needs. We have been serving the greater Houston area (from Schulenberg to LaPorte, Conroe to Galveston) since 1982. Our mission is to maintain a reputation for providing personal and continued service with creativity and integrity. From consultation and design to installation of beautiful as well as functional landscapes, we love what we do and so will you!